We Have Had Some Magical Treatment Moments In Our Time – Such As This One. Some people we treat will stick in our minds forever; the results are just so amazing. Here is a video snippet of one of those moments. This footage is of someone we treated, called Cathy Lawrence. 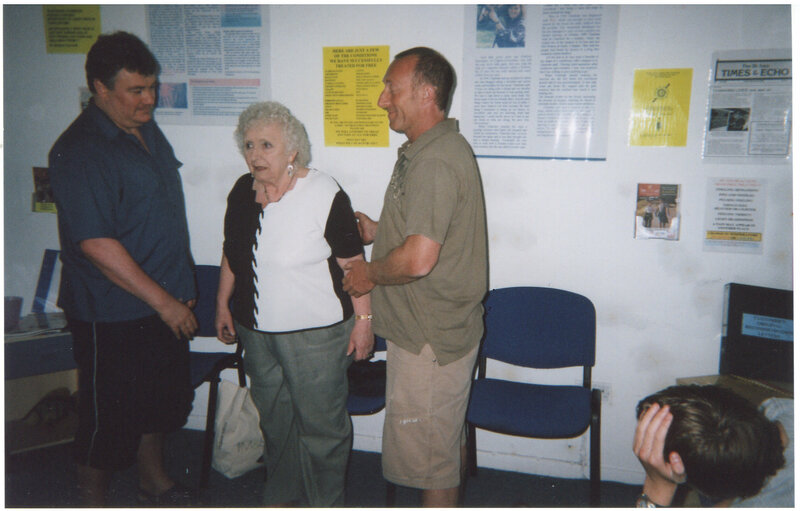 It was filmed in our first shop back in 2008, and shows Cathy as she walked unaided for the first time in 15 years, after having a free sample treatment from us. Cathy had been told that she would never walk again due to the fact that she suffered from Multiple Sclerosis (MS) and Ankylosing Spondylitis (AS) and was wheelchair bound. Therefore, as these conditions were incurable, that would stop her ever walking again. However after our treatment, she walked across the room without too much trouble, the two girls in the video are her granddaughters and they had never seen her walk before. Truly a marvellous day for everyone who was there, but especially for Cathy. The photos below were also taken that day. The look on her face as she could stand up without falling for the first time in years is a real ‘Kodak’ moment. So if you know anyone suffering with any kind of health condition, please do them a really big favour and get them to check out our web site or Facebook page. Our unique treatment skills, which we now use in our Global Treatment Service, allow us to help people all around the world without us being in the same room as them. This makes these amazing levels of results possible without ever meeting the person. If you know someone who could do with our help, why not contact us what do you have to lose? This entry was posted in Ankylosing Spondylitis, magnetic therapy, magnotherapy, Multiple Sclerosis (M.S. 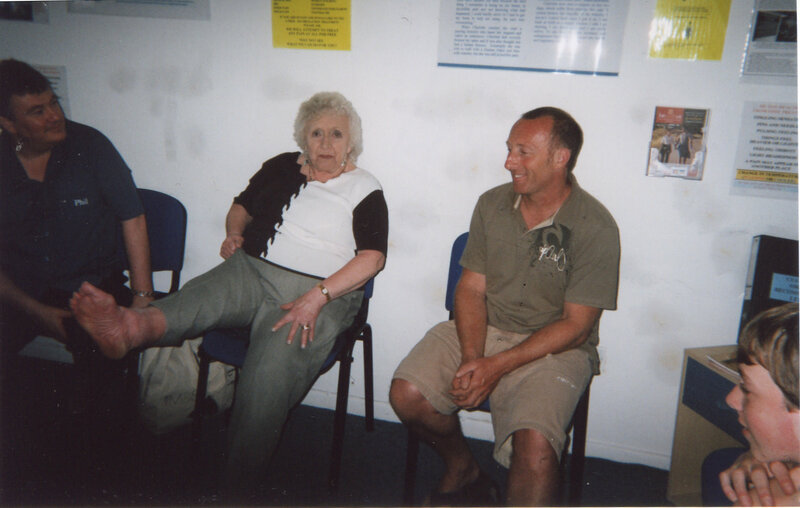 ), Pain Relief, video footage and tagged Ankylosing Spondylitis, Multiple sclerosis. Bookmark the permalink.